The Male Golfer Trophy is a premium quality gold glazed resin golf award featuring the statue of a male golfer holding a golf club. 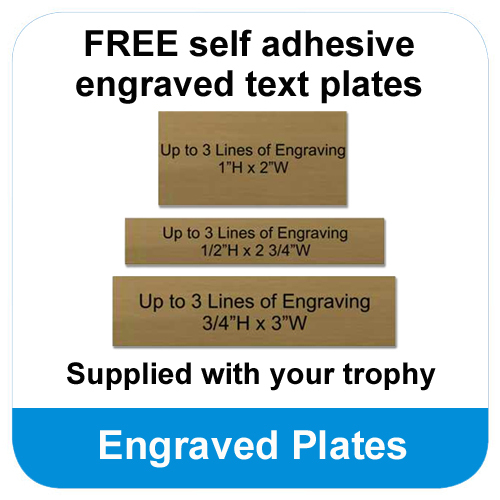 This superior quality golf trophy is set upon a grass detailed base on top of a traditional black trophy base, which can be personalised with an optional engraved plate. 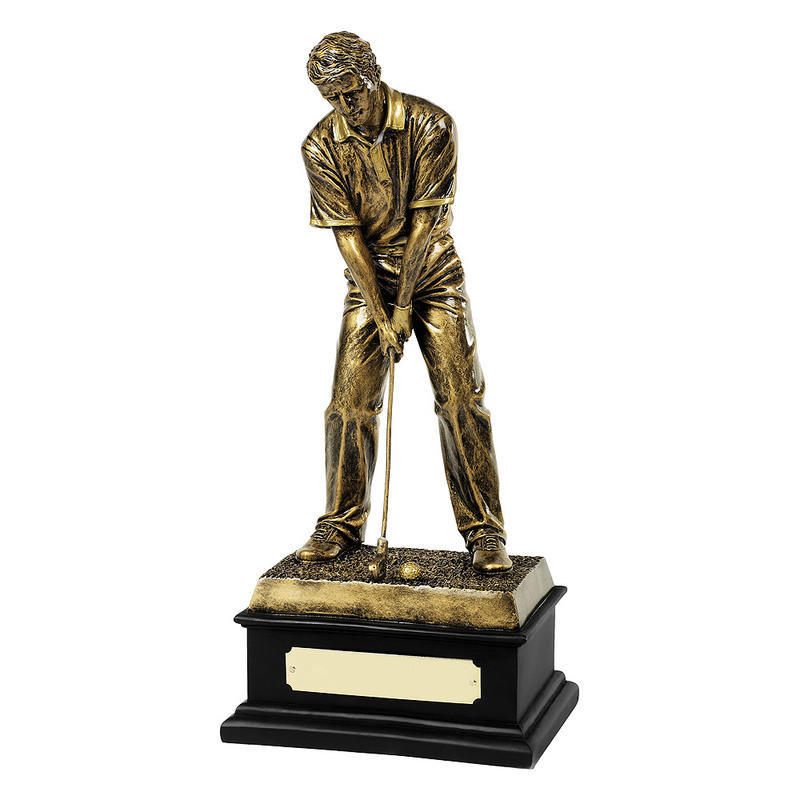 Made from high quality resin that is coated for an antique gold finish, the Male Golfer Trophy features a male golfer about to strike a golf ball. 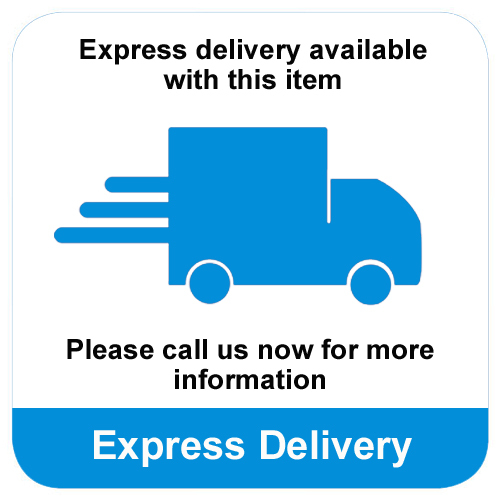 This superb high shine resin golf award is set on top of a deep black base, which can be personalised with the addition of a FREE engraved text plate, making it perfect for any golfing event.